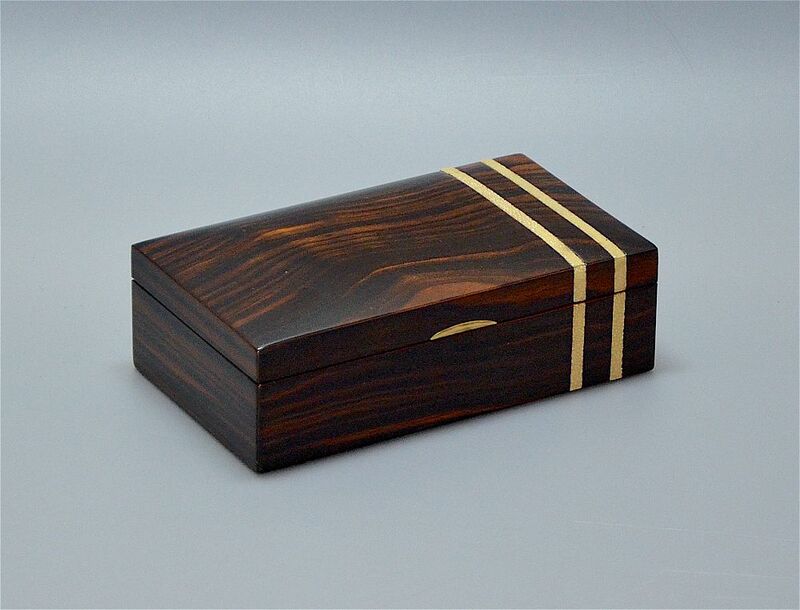 This beautiful Art Deco period box was probably made in France. 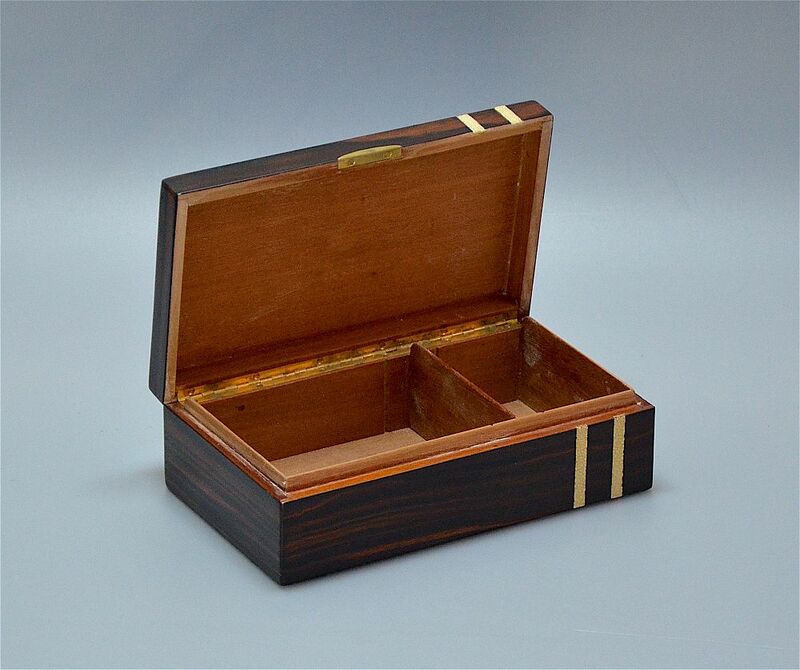 It is rectangular in shape is veneered in macassar ebony with two strips of shagreen (stingray skin) running across the right hand side of the top and down the front. There is a small gilt metal plate opener and the box has an internal divider. A lovely and useful item.